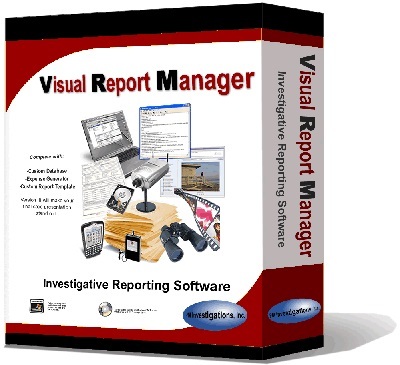 Visual Report Manager™ [VRM] is a complete Investigator’s case management application for Investigators. 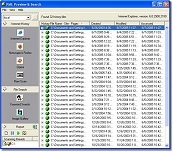 VRM has the ability to add video, pictures, reports and financial data to each case with simple click or drag and drop. With each copy of VRM, you’ll receive the ability to log billable hours that are commonly missed during the course of conducting business, compress video with custom watermarks that will quickly identify your company logo to your work product, and the Investigator will be able to quickly add reports using a custom built-in engine. Below is short summary of the tools that come with each copy of Visual Report Manager™. Introductory pricing starts as low as $399.95. Current orders are only accepted by sending payment to our office. PM Investigations, Inc. will soon release its on-line store to take orders over the Internet. After your purchase, please send us a logo, company name, address information and web site (URL) plus the Order ID confirmation number from your receipt. We’ll need three days to customize an identity file for your business and email it to you.